Yom Kippur! There is no holier day in Judaism! In ancient days, it was on this day that, according to Jewish tradition, Moses descended from Mt. Sinai with two new stone tablets, showing that Hashem had forgiven Israel for the sin of the golden calf (cf. Exo. 34). It was on this day, and this day alone, that the high priest entered into the holy of holies to commune with the Eternal (Lev. 16). 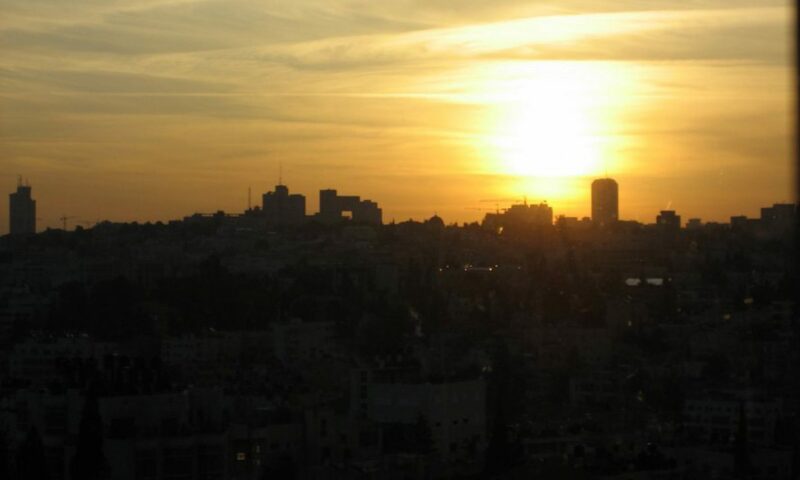 And this is the day on which Yeshua will finally be reconciled with all Israel in our very near future! Now, as popularly told in Christian circles, the sacrifices through the year, and the sacrifice at Yom Kippur, were indeed effective and necessary for the forgiveness of sin before the coming of Christ, but following his “once and for all” sacrifice (Heb. 7:27, 9:12, 26, 10:10), those sacrifices ceased to be effectual, and anyone who continued to offer them were guilty of “crucifying once again the Son of God to their own harm and holding him up to contempt” (Heb. 6:6). However, as we’ve pointed out on this blog, Paul himself continued to offer sacrifices some thirty years after the Cross-and he was far from the only one! How then can we reconcile these two lines of thought? Let’s back up for a second. Wherever did we get the idea that the Old Covenant sacrifices purified the offerer from sin? As Tevye might sing, “Tradition!” On both the Christian and Jewish sides. Even a cursory scan of the Talmud reveals an ongoing discussion about when a person was obligated to bring a sin offering. The general rule was that failures to carry out a “positive” commandment (a “thou shalt”) were covered by the daily burnt offering, but that any failure to carry out a “negative” commandment (a “thou shalt not”) obligated the individual Jew to offer up a personal sin offering. It would be easy to take all of this to understand that sin offerings indeed atoned for the individual sin so as to avoid Divine punishment. Christianity naturally picked up on this idea and filtered it through Hebrews to come to the idea that animal sacrifices had something to do with personal salvation in the Old Testament, but that they were superseded by the sacrifice of Christ in the New. Modern scholarship, such as the work of Jacob Milgrom, has recognized that the sacrifices of the Torah never covered the offerer in their blood: Instead, the blood was sprinkled in the Holy Place, the temple, on the outer altar, on the inner altar of incense, or on the Ark of the Covenant itself. The implication is that the blood did not atone for the individual, but that it in some way cleansed holy territory of the sins of everyday life so that the Sh’khinah, the Presence of the Living God, could continue to dwell among his people. While I would depart from Milgrom’s thesis that the sacrifices were only concerned with ritual purity and had nothing at all to do with the moral sins of the people (I think Lev. 16:16 is pretty clear on this point), he’s precisely on point that for the individual, “it is impossible for the blood of bulls and goats to take away sins” (Heb. 10:4). As Paul points out, being justified–that is, being vindicated before the Heavenly court–was based on one’s trust and faithfulness long before the Levitical system was given (Rom. 4, Gal. 3). So what then was the point of the Levitical sacrificial system? It was not to justify the individual offerers, but to purify sacred geographical space, the holy place where the Presence of the Eternal Creator dwelt among his people. This is why the blood of the sin offering of a lay person was put on the horns of the altar in the courtyard (Lev. 4:34) while a sin offering for a priest or for the community (which would include the priests) was brought to the altar of incense inside the holy place (vv. 7, 17). The high priest in turn brought the blood of his sin offering inside the holy-of-holies itself on Yom Kippur (16:14). In each case, the blood was brought as far inside the temple as the contamination of the sin may have spread. The implications are startling. We have all likely heard the verse where Jesus says, “Where two or more are gathered in my name, I am there in the midst of them” (Mat. 18:20). But put in the context of this other New Testament language, which in turn is informed by the Old Testament imagery of the tabernacle and temple, it means that wherever believers are and gather, the spiritual ground they occupy is sanctified amid the powers of darkness. The blood of bulls and goats was sufficient to cleanse a geographical space, but only the blood of Messiah is sufficient to cleanse a human being and turn them into a mobile holy place! This was why Paul and the other Nazarenes could and did continue to take part in the sacrificial service: They didn’t view the Levitical system as having been “fulfilled” (as in abolished) by Yeshua’s sacrifice. Rather, they viewed it as being in an entirely different category, having an entirely different purpose. Therefore, they could continue to offer sacrifices without impinging on the uniqueness of Yeshua’s–the one literally had nothing to do with the other, except insofar as the Levitical sacrifices provided illustration into Hashem’s ultimate purpose in the Cross. It also explains how we could have a renewed Levitical system in the end times and the Millennium: They would not be “memorials” of the Messiah’s work, but rather operate in their ancient purpose of sanctifying the sacred geographical space of the third temple. So how does this fit with Yom Kippur? Traditionally, Yom Kippur is a day of fasting and repentence, of praying for God to forgive us personally and cleans us from sin and iniquity. It turns out that for the Messianic Jew, who is a holy place and has a great High Priest in Yeshua, both the Levitical and traditional observances of the day take on a new life and an enhanced meaning, just like Passover. For all my bretheren, both Jewish and Christian, g’mar chatima tovat haSheh, may you be sealed in the Lamb’s book of lie!